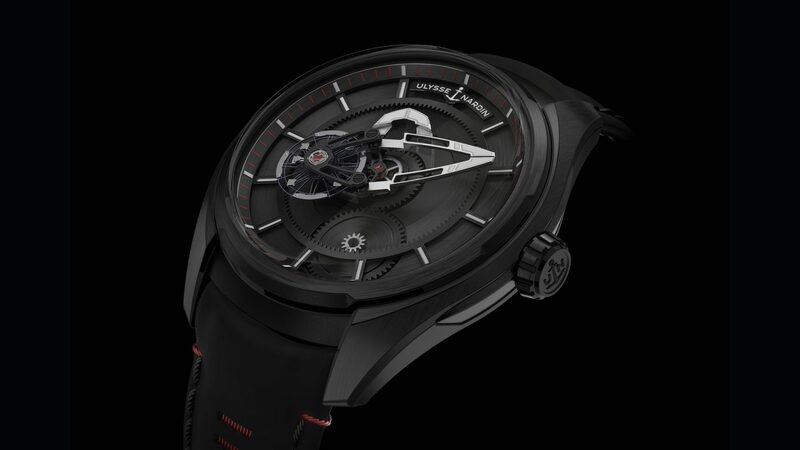 Last year, the pronouncement that the Freak Out was to be Ulysse Nardin’s entry point into its titular collection of concept watches proved to be short lived. Journalists who attended SIHH 2019 were treated to the unveiling of the Freak X — a novelty which handily steals the mantle of “entry level” away from its predecessor, thanks to a similar dial layout and a price tag that starts at HK$154,000. Fans of the Freak Out will be right at home: on Ulysse Nardin’s latest, the time is cleverly displayed by repurposing the movement as a minute hand; while the design language conforms to most expectations surrounding the Freak collection. Be that as it may, the rationale behind this particular SIHH 2019 novelty is somewhat puzzling, given the relative recency of the Freak Out’s release; and the fact that this newest “entry-level” take isn’t significantly different from its predecessor. Pictured (from left): the Freak X in carbonium (HK$199,700) and black-coated titanium (HK$154,000). At a glance, the Freak X boasts the classic look and feel of many of its predecessors (e.g. the Out or Vision), although a side-by-side comparison brings a few differences sharply into focus. For starters, the new novelties all feature winding crowns: a mechanism which has traditionally been omitted from the Freak’s design lexicon. The presence of the winding crown is down to the more streamlined and conventional nature of the movement: the new UN-230 draws on technological lessons learned from the Freak Vision UN-250; and although the result feels very contemporary (thanks to the silicon balance wheel and nickel counterweights) it’s also noticeably simpler up close. Unlike previous iterations in the collection, the Freak X only features the balance wheel on its central bridge/makeshift minute hand. The gear train has actually been repositioned below the central bridge, turning it into something more akin to a display module that is superimposed on top of a typical automatic movement. Pictured (from left): the Freak X in brushed blue titanium (HK$154,000) and rose gold (HK$249,600). The advantage of reverting to a conventional movement architecture is that the Freak X is able to take advantage of a self-winding calibre. On the caseback the rotor and movement are visible, although the usual week-long power reserve has been substituted for a maximum capacity of 72 hours (i.e. good for the weekend). The relocation of the gear train also meant that the brand’s watchmakers were able to reduce the overall dimensions — at 43mm the Freak X is marginally more wearable than, say, the Freak Vision, although the proliferation of bigger watches throughout the industry means that either are still well within the range of acceptable sizes. Of the four models debuted at the Salon (including two titanium finishes and 18K rose gold) the carbonium is the most materially innovative. Consisting of up-cycled aircraft components that are 40 percent more sustainable than most equivalent carbon fibres, this composite material stands out thanks to its organic-bordering-on-woody appearance and a weight that’s twice as low as titanium. 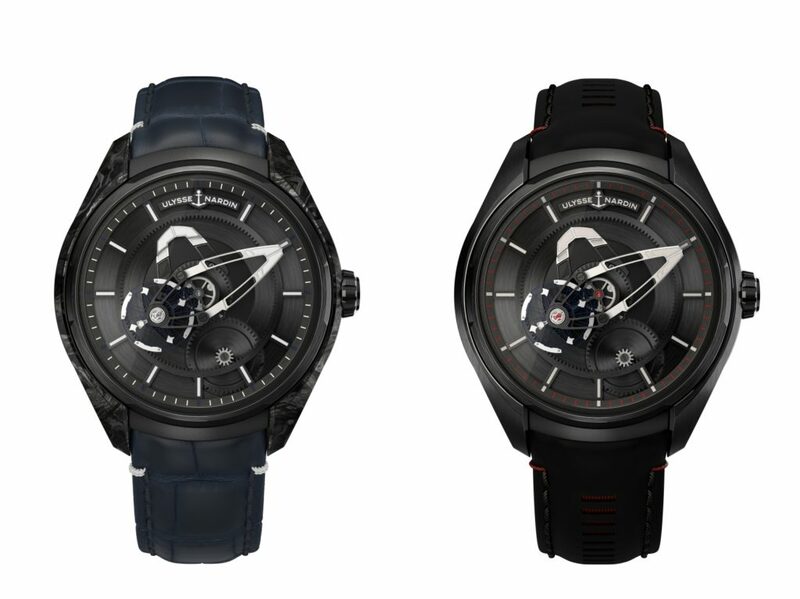 The Ulysse Nardin Freak X is now available in four versions between HK$154,000-$249,600. 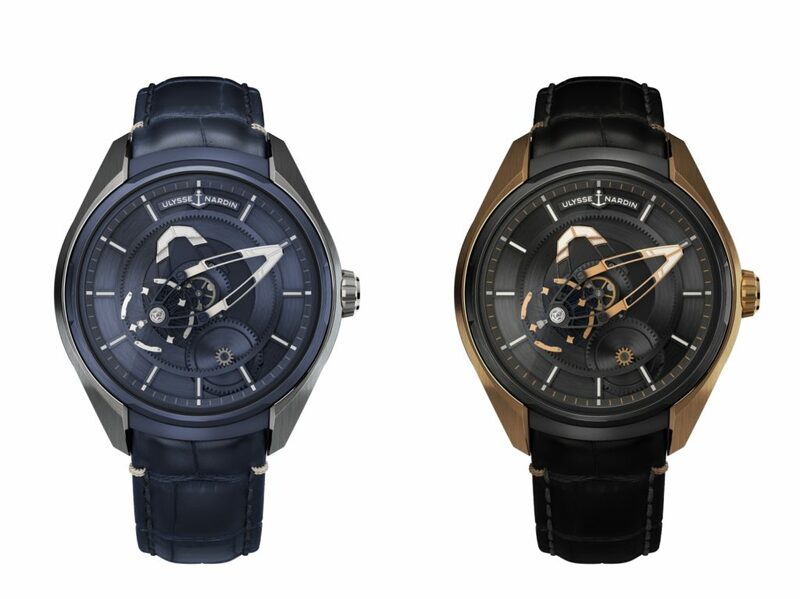 For more information, please visit Ulysse Nardin online.